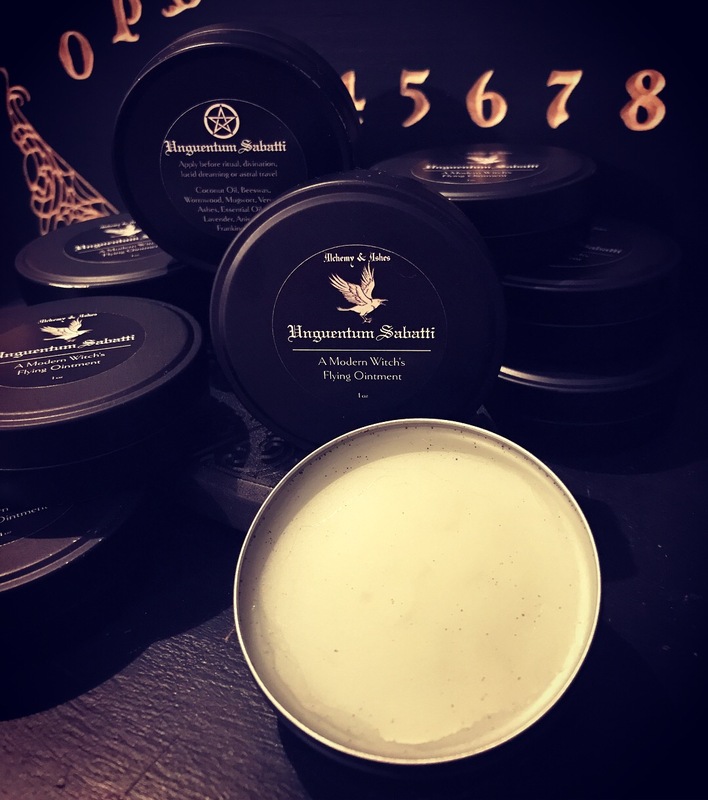 Our handcrafted COLD PROCESS SOAPS are exclusively made in small batches to assure quality and consistency and are handcrafted with pure plant oils, essential and fragrance oils, herbs, and botanicals. All ingredients are listed on each product. 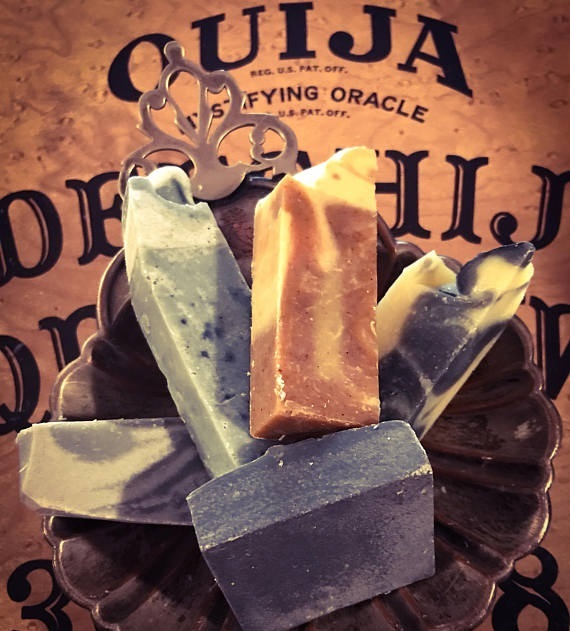 All soaps are cured for a 4-week time period. 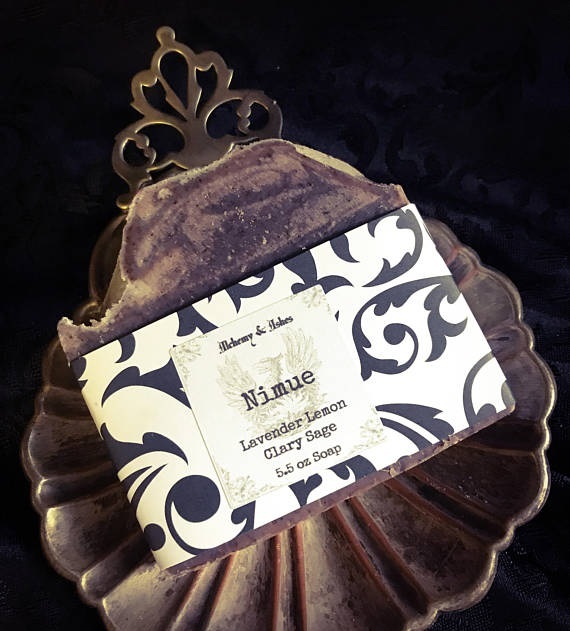 We strive for consistency in appearance, scent, and weight, but due to the nature of handmade products made with natural ingredients, there may be slight variance in products, like soap color. 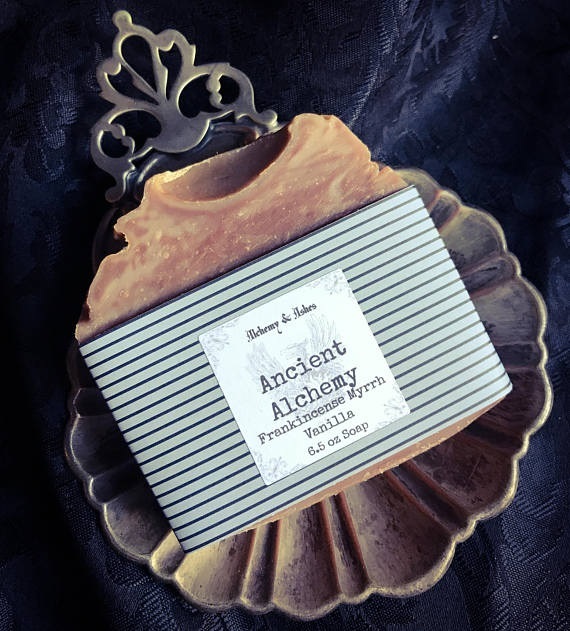 To prolong the life of your soaps, keep them in a well draining soap dish and allow them to dry between uses. 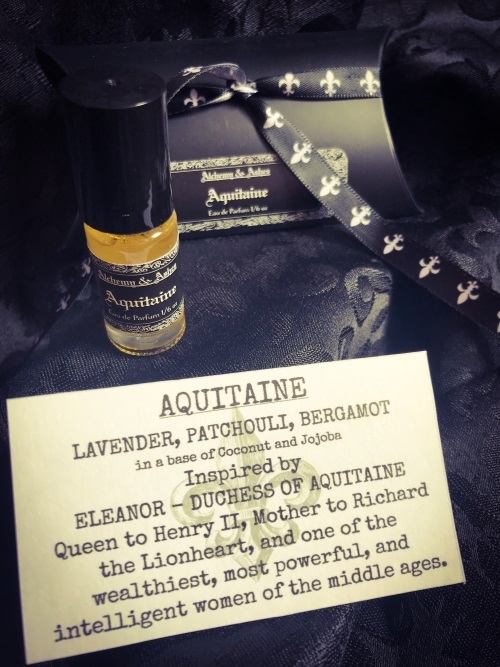 Our EAU DE PARFUM OILS are unique hand-blended essences made using only the finest essential oils, absolutes, isolates, and accords, and formulated in a proprietary blend of Coconut Oil and Jojoba Oil so that they may be applied through a roller ball mechanism. 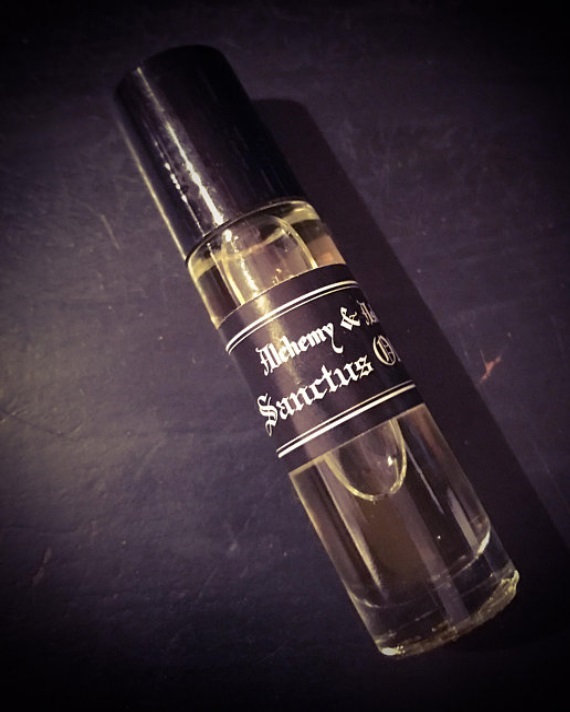 Oil-based perfumes stay closer to the skin but some users tend to feel that they last longer. 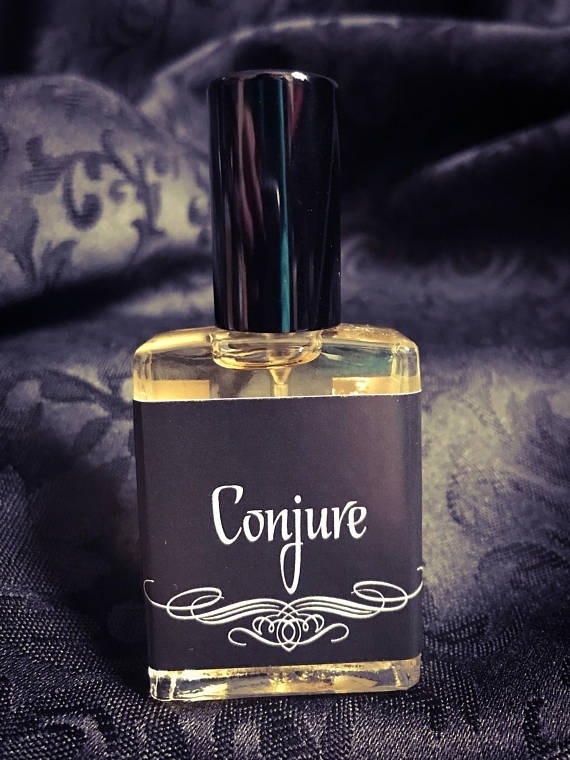 Our EAU DE PARFUMS are unique hand-blended essences made using only the finest essential oils, absolutes, isolates, and accords, and formulated in a professional perfumer’s alcohol so that they may be applied through an atomizer. 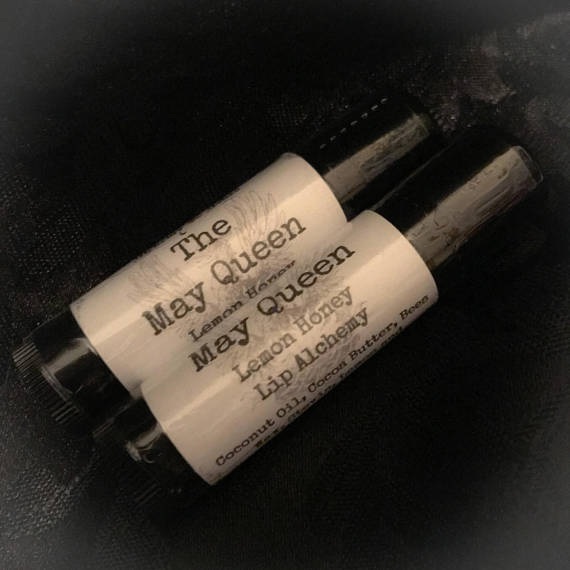 Our LIP ALCHEMY is a nourishing blend of Cocoa Butter and Coconut Oil with Bees Wax protect your lips from the elements. 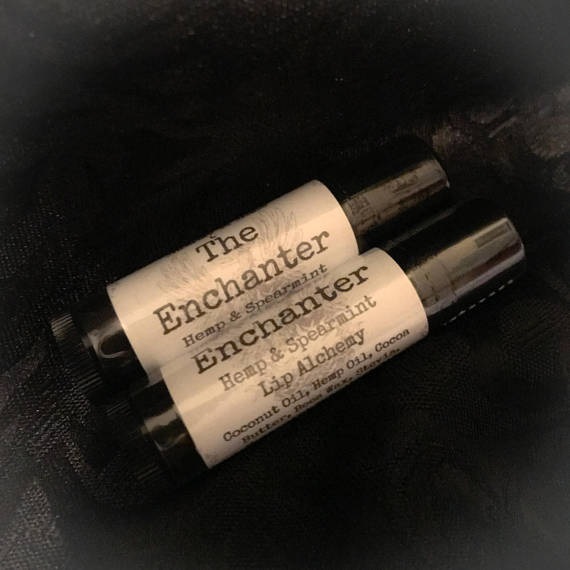 This lip balm will leave your dry, parched lips smooth and supple with a bit of sheen! 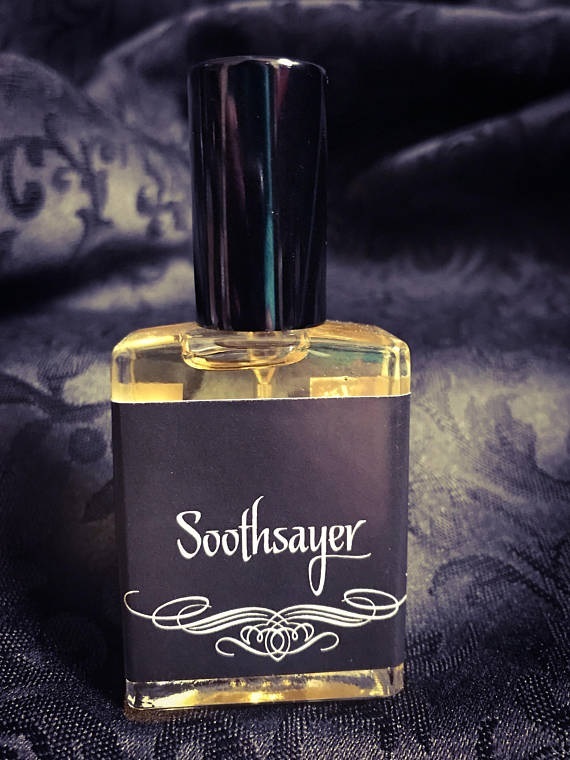 Lightly scented, flavored and sweetened with Stevia. 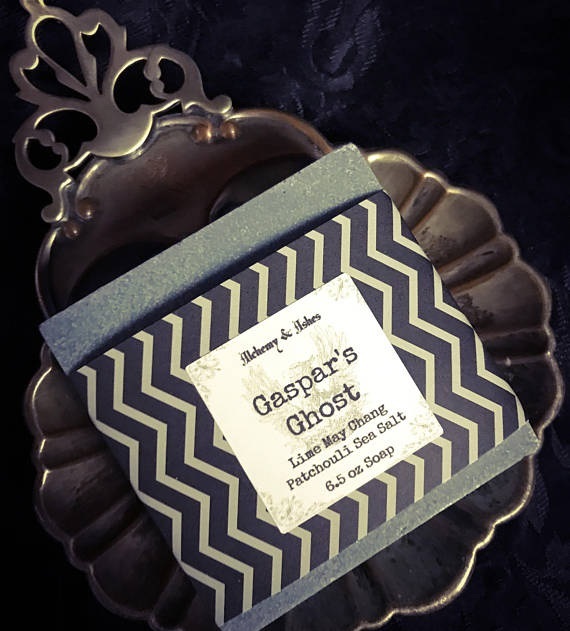 We do not use any petroleum based ingredients – no paraffin wax or petroleum jelly! 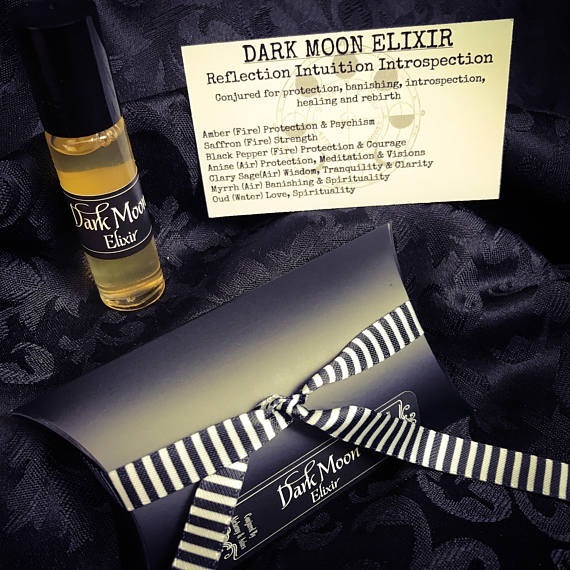 Our MOON ELIXIRS were conjured with magickal intention related to the moon phases they are named for. 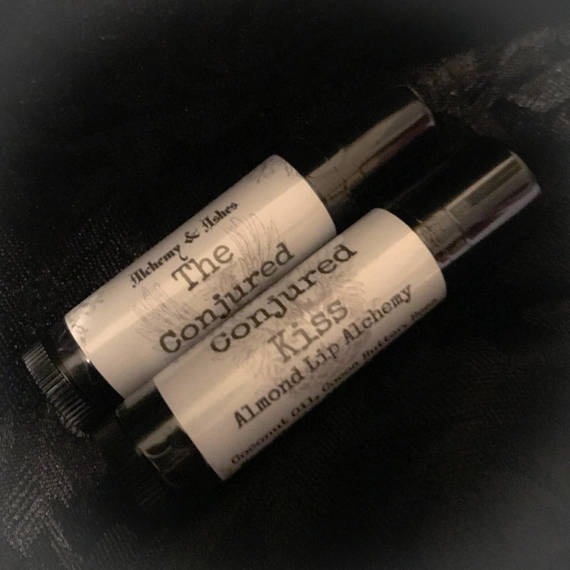 Use them as personal fragrance to evoke the powers held within, or use them in ritual to anoint yourself, candles, or sacred objects with moon magick. 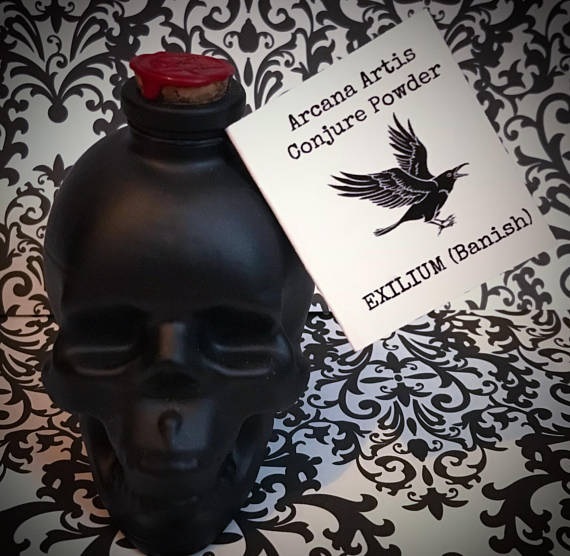 Our CONJURE POWDERS are an amalgamation of 7 or 13 Mystical Herbs and Resins Conjured For Magickal and Ritual Intent. 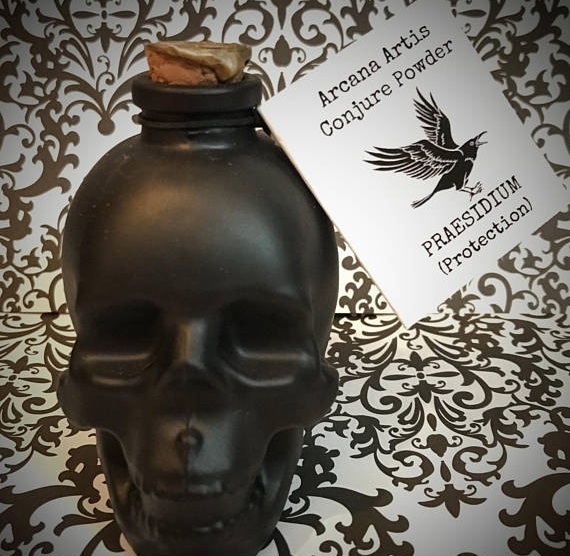 Burn ½ teaspoon on a charcoal tablet at a time as incense. 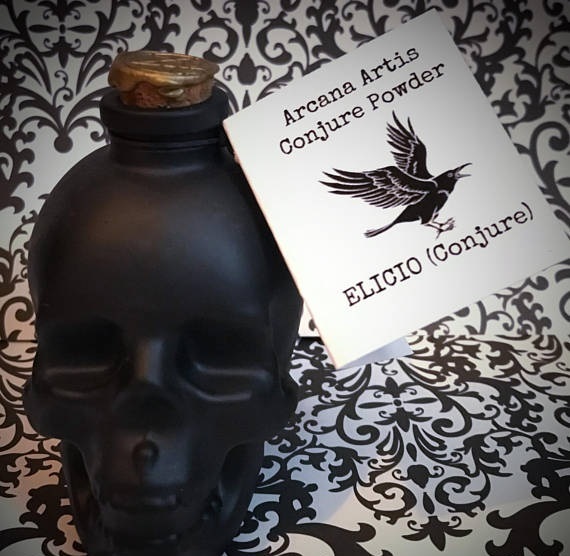 Roll spell candle in the powder, or sprinkle powder into pooled wax of jar candle as a candle dressing. 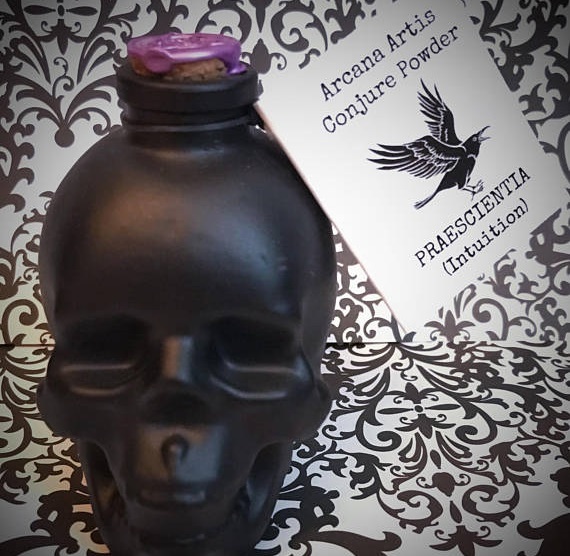 Sprinkle around area of ritual. 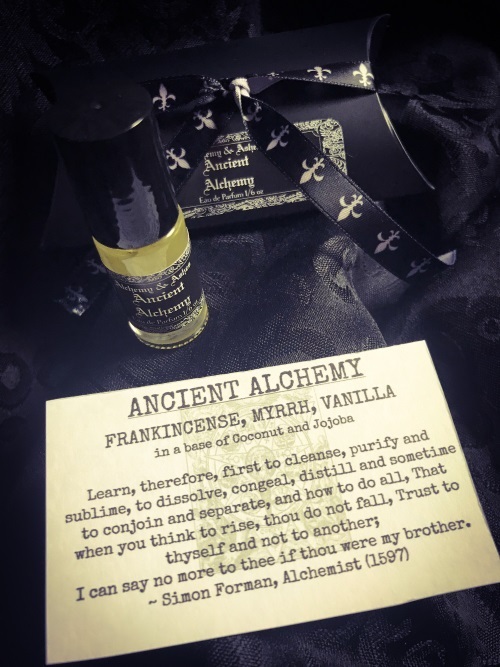 Add to oil and anoint yourself before magickal workings. Inspired by a 19th century recipe, this is our own version of Florida Water. 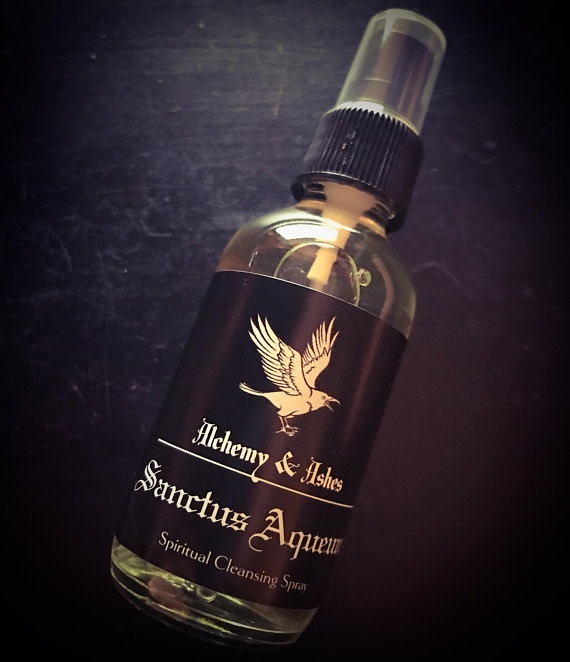 Used like “Holy Water” for blessing and consecrating, cleansing and purification when sacred smoke smudging isn’t an option. 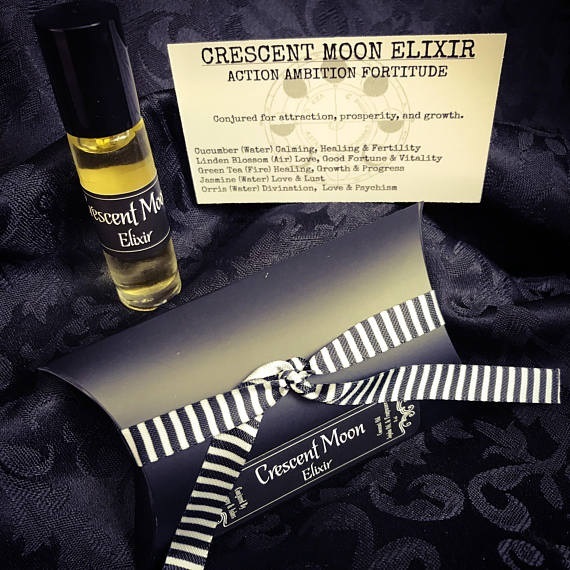 We create each batch on the New Moon and leave it to charge until the Full Moon. 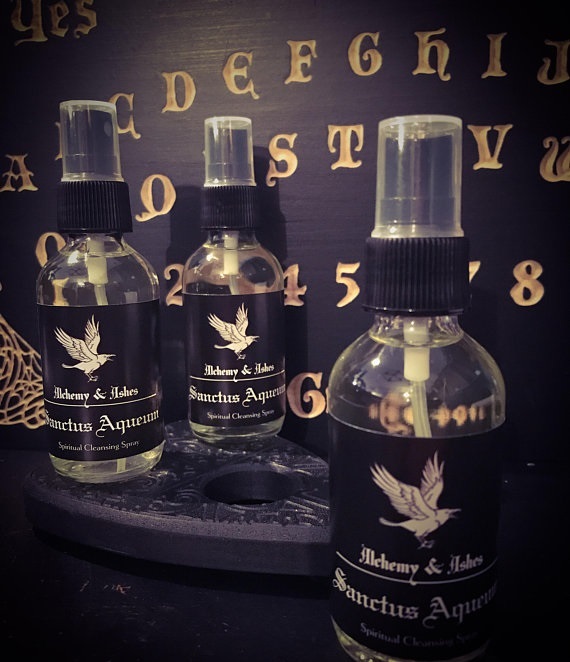 It is infused with quartz crystal to amplify energy and each individual bottle contains a small clear quartz. 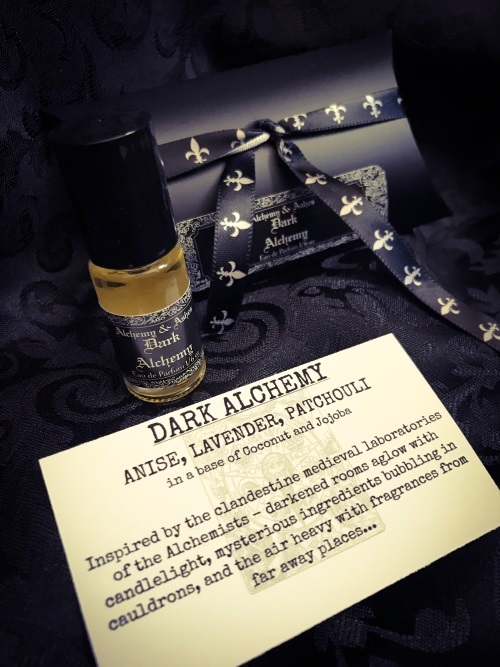 This Protection Oil is like the Witch’s version of Holy Chrism oil. 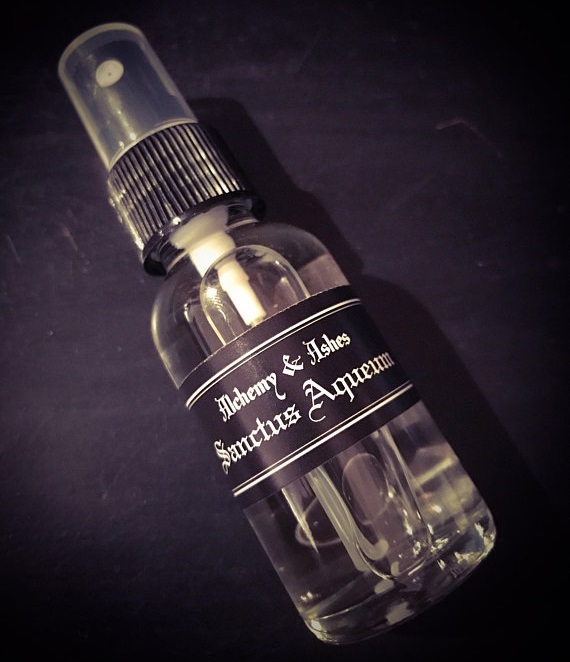 It can be used to consecrate items, make protective sigils on doorways and windows, as well as anointing yourself during ritual work. 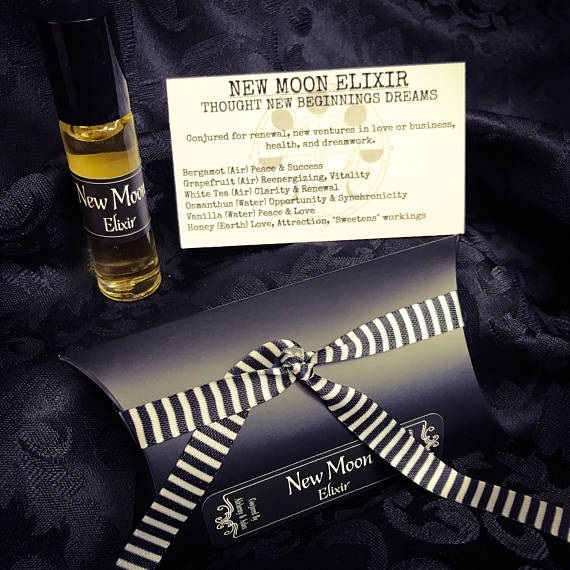 We create each batch on the New Moon and leave it to charge until the Full Moon. 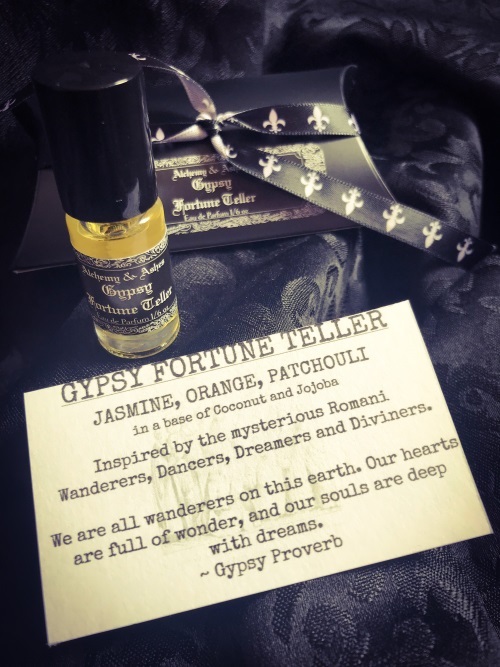 It is infused with black tourmaline crystal for protective energy and each individual bottle contains a small piece of black tourmaline. Unguentum Sabatti is the hand that parts the veil. 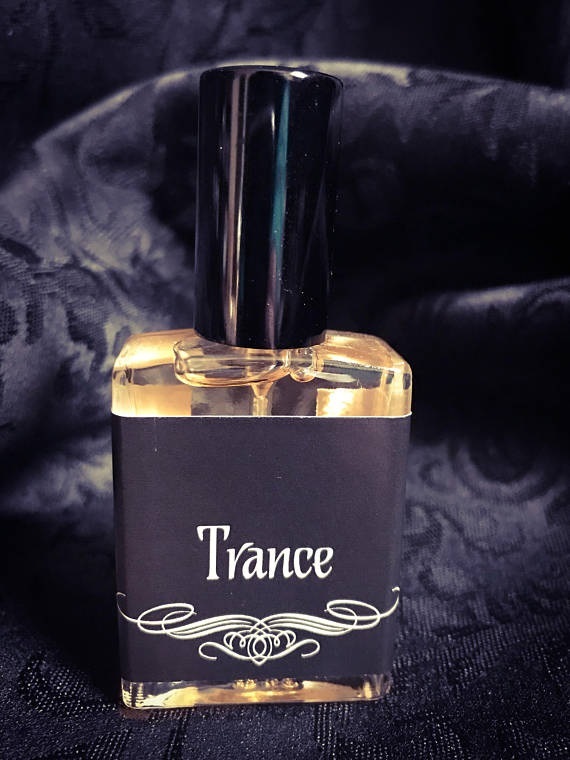 It is a tool – a key to unlock the door between your mundane brain and your limitless consciousness, to help you slip through to other planes of existence without the use of hallucinogens. 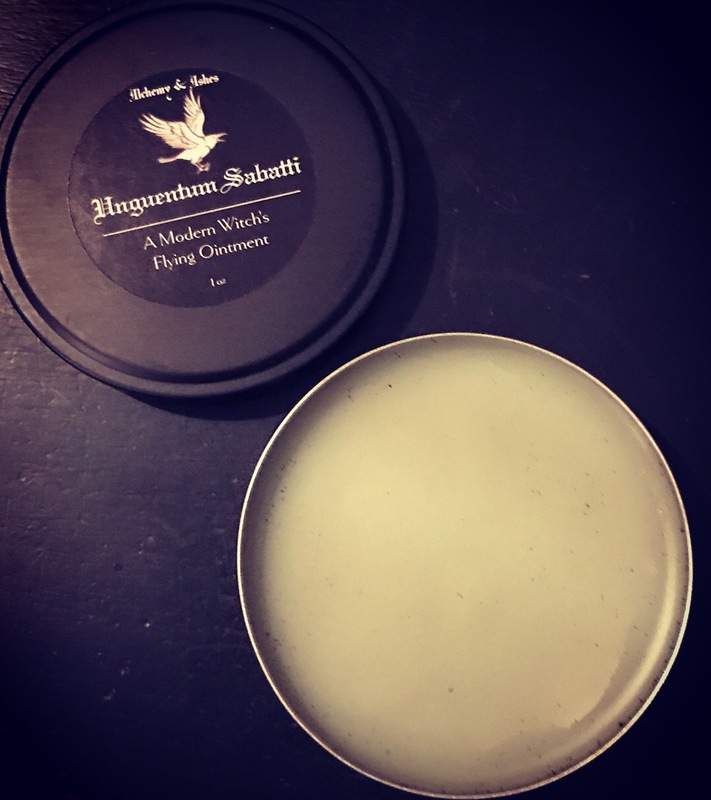 Unguentum Sabatti is made with 3 herbs. 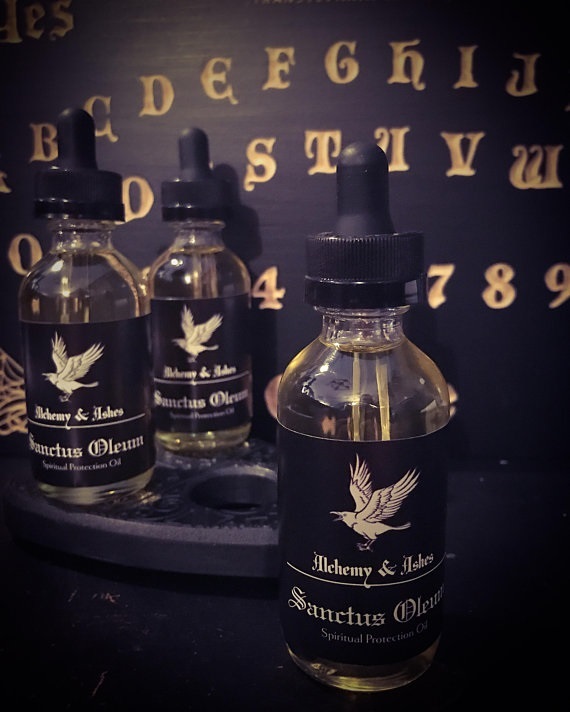 Three symbolizes manifestation into the physical, as well as representing birth, life, and death; mental, physical, and spiritual; past, present, and future and many other trifectas. 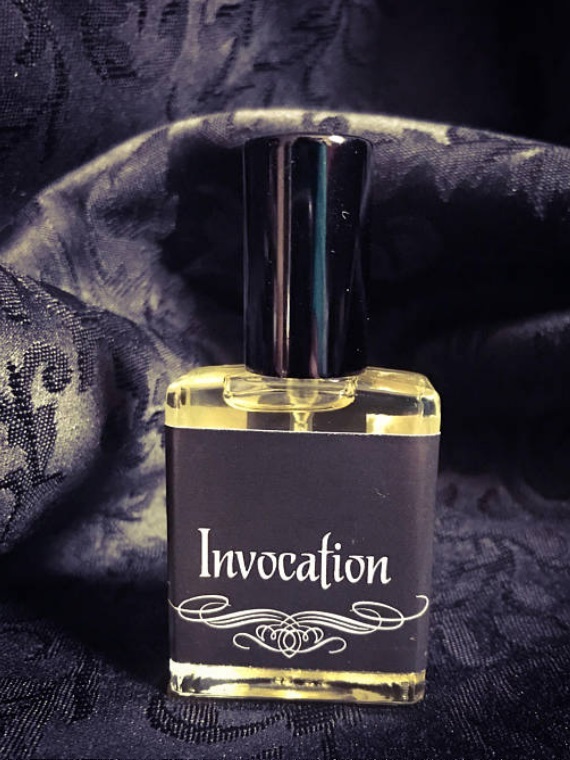 Wormwood, Mugwort, and Vervain were chosen for their folkloric and historic properties related to intuitive endeavors, such as divination, scrying, prophecy and clairvoyance. 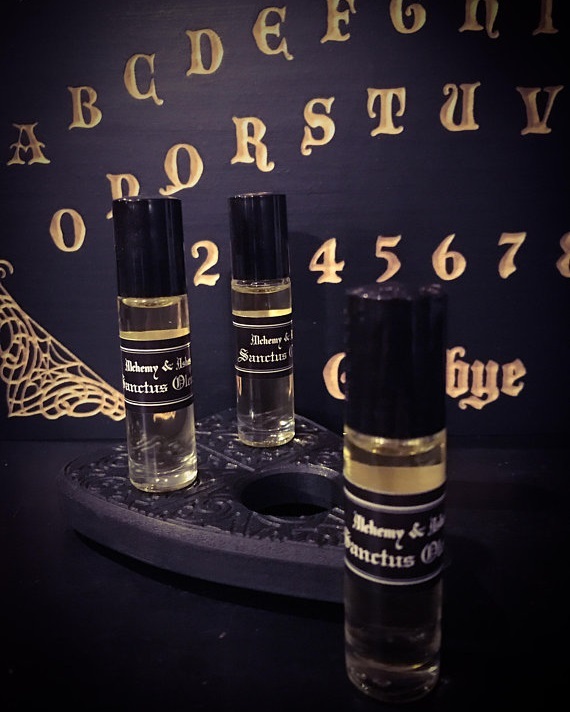 I’ve also added 3 essential oils: Anise, Frankincense, and Lavender. 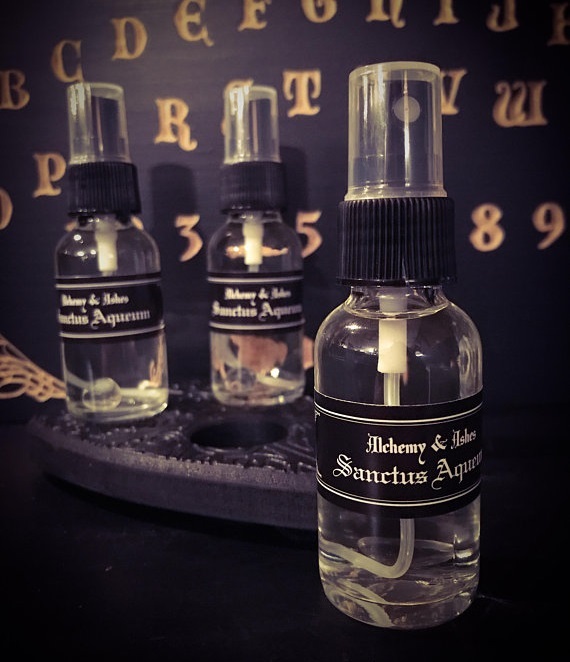 Lastly, I added ashes from a Ritual Fire which consisted of 9 (3 x 3) herbs and woods: Wormwood, Mugwort, Vervain, Lavender, Anise, Frankincense, Rosewood, Willow and Cypress. 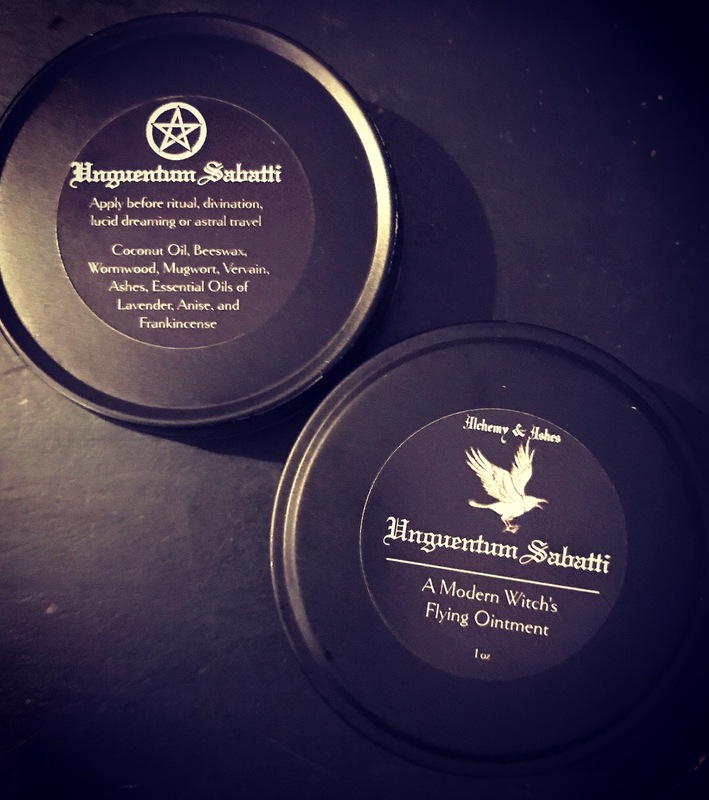 All of this is combined in a base of Coconut Oil and Beeswax. 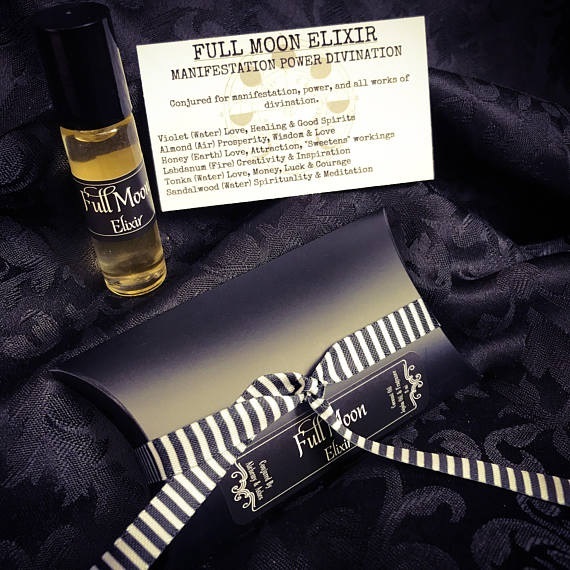 I macerated the herbs for a full moon cycle, and then the ointment is made on the full moon. 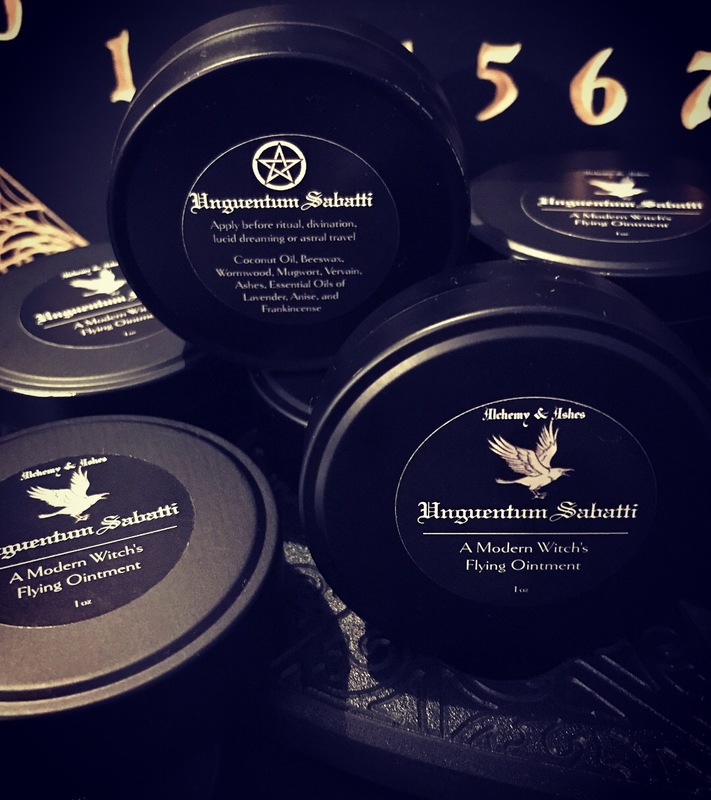 Unguentum Sabatti is used externally only by applying a dime size amount to your temples, third eye, back of neck, wrists, and soles of feet at least 30 minutes before meditation, ritual, divination practices, or attempts to astral travel or lucid dream.